Solid, compact and effective, the Force USA Seated Calf Raise Machine (F-CR) is strong enough for gym use, while designed to fit into any home. Featuring SteelForce Structural Integrity and heavy-duty, DuraCore™ high density foam padding wrapped in sewn rip-stop VorTex™ Upholstery, the Force USA F-CR is built to take a pounding. And, with an “Class A” rating, the Force USA F-CR comes with a Lifetime Structural Warranty. 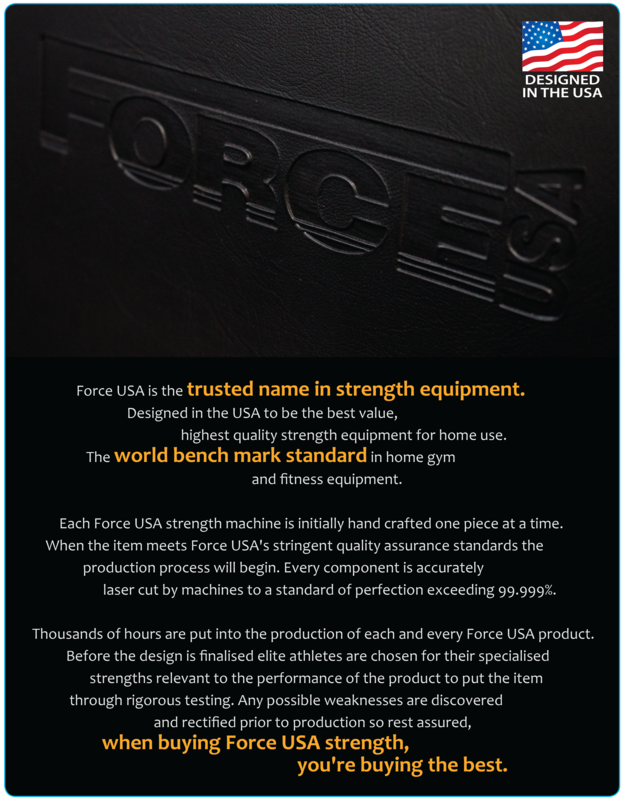 The Force USA F-CR is unmatched in its class and will give you solid and intense workouts for many years to come! The Force USA Seated Calf Raise Machine will help you build your leg and calf muscles with a huge range of exercises! 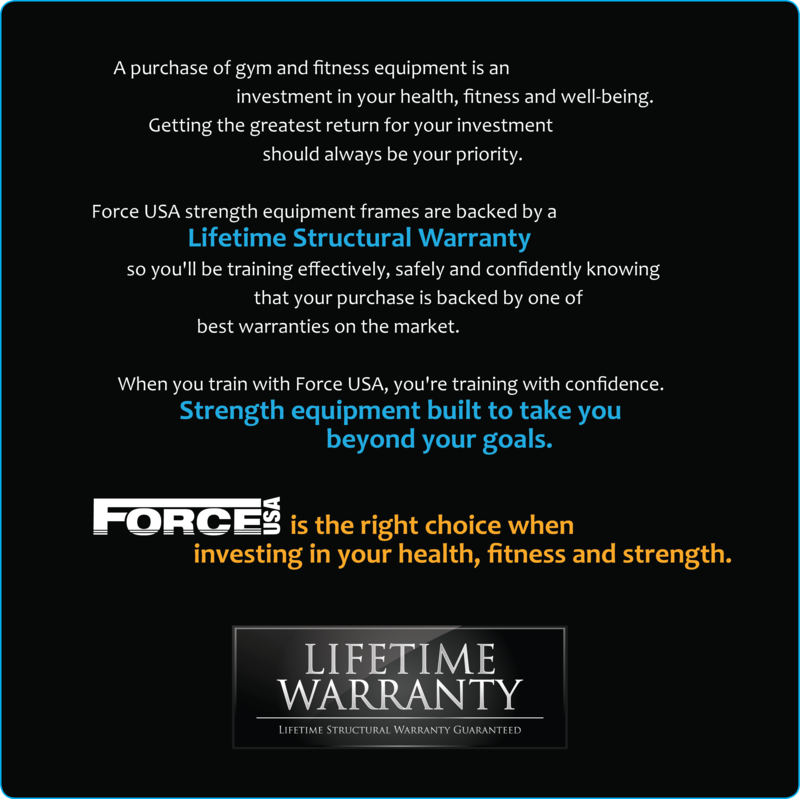 The Force USA F-CR is a must have for any gym. Easy pull pin to adjust height and distance in seconds. Laser cut checker foot plate enables different start positions. Can use Standard and Olympic Weight plates – comes with a weight plate adapter. Includes built in safety catches for added safety during your workout. Quality bushings provide an ultra smooth workout! 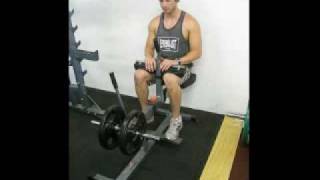 Gives you one of the best exercises to build a rock solid calves! Perform your workouts knowing you are safe, with quality DuraCore™ padding you will not bottom out and can build your muscles to the max! Quality bracing for correct body alignment throughout your workout. Get a great workout with one of the strongest and most versatile Seated Calf Raise Machines available. Great for rehabilitation or any other workouts. Functional equipment that makes me enjoy working out even more. I commend Gym and Fitness for delivering it on time and in great condition like they promised. I am looking forward to making more transactions with them in the future, this is definitely not bad for a first time. What a great unit this is. Sturdy build, nicely adjustable, good quality and comes at a very affordable price. The only advice I would offer is to have a socket wrench set handy. It will cut the assembly time right down.